Get ahead quicker with the option of extending your undergraduate law course to include an MLaw Masters of Law. In addition to your Masters, you'll be exempt from the LPC qualification. Don’t just learn law through traditional academics, experience it with direct exposure to successful solicitors, barristers and business leaders through industry workshops and guaranteed internships (subject to academic performance). Students have previously visited Unilever, IBM and Savills for industry workshops. Learn law within the heart of a FTSE 100 company, Pearson PLC! Our law programmes provide you with all the necessary knowledge and skills to become a legal professional. You’ll be taught by qualified solicitors, as well as business tutors. Study this course at our Midtown campus in Holborn, one of London's busiest business districts and legal centre, home to the Royal Courts of Justice and leading law firms. 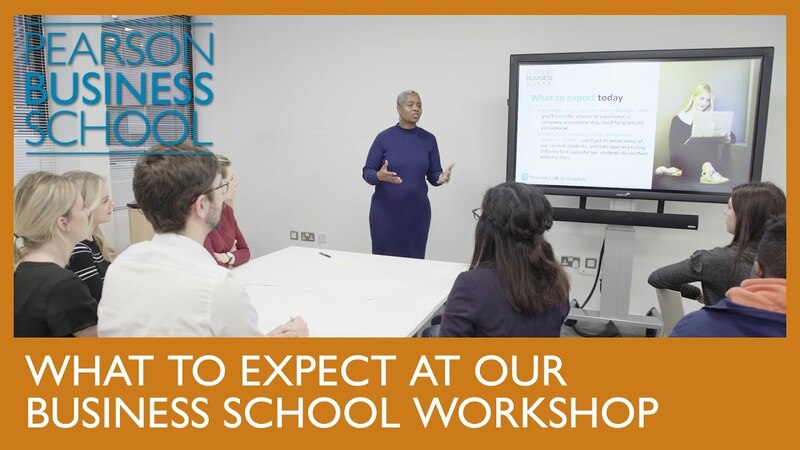 Welcome to the Pearson Business School approach to studying law, that's focused on providing you with a real-world understanding of the legal sector. Our degrees have been designed alongside our industry partners to help you get prepared for the modern workplace. These are Qualifying Law Degrees which enable graduates to continue to the professional stage of qualification as a solicitor or barrister. Our classes are taught by practising lawyers, business leaders and leading academics at our Midtown Campus in Holborn. Be in the centre of the legal world, near to global law firms and the Royal Courts of Justice. Explore law and business modules through real-world learning, including workshops, guest speakers, guaranteed internships (subject to eligibility criteria) and company-based mentors: as well as through more traditional lectures and seminars. You'll develop the legal and business knowledge alongside the complementary skills needed to build a successful career in law and business. Plus a choice of modules including: The Evolution of Global Economies, Self-managed Learning, International Regions 1, Industry Studies 1. Plus a choice of modules including: People Management and Leadership, Operations and Project Management, Self-managed Learning, Intellectual Property Law. If you’re doing the 4-year integrated masters programme you’ll gain specialised legal training in the following areas in the final year and graduate with an MLaw qualification that has global credibility. LLB and MLaw Law degrees are respected by many other industries for offering highly transferable skills, from presentation to critical analysis. After graduation, you’ll have the choice to pursue a job outside of law or take the next step towards becoming a Barrister, Solicitor or Chartered Legal Executive. You can become a Solicitor faster and more affordably! Complete our integrated Masters in Law and you can fast-track straight to Trainee Solicitor stage, as you’ll be exempt from the Graduate Diploma in Law as well as the Legal Practitioners Course. All of our degrees are designed through our unique approach which brings together leading figures from business and academic communities to design degrees that are relevant to employers. Our programmes have been developed with input from industry partners, including Unilever, Lotus F1, IBM, WPP - a world leader in marketing communications, and Lloyds of London.